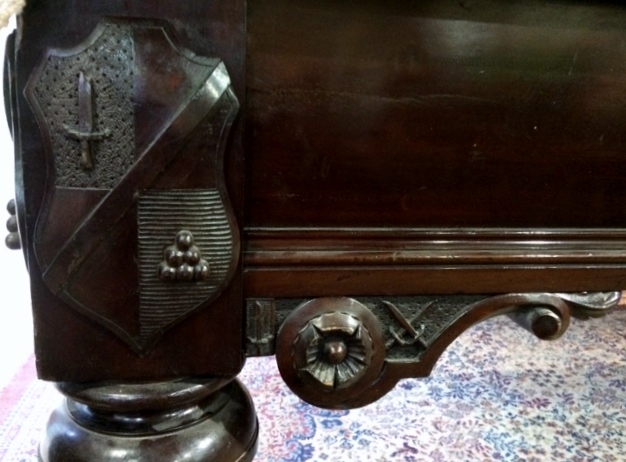 News | Browns Antiques Billiards and Interiors. 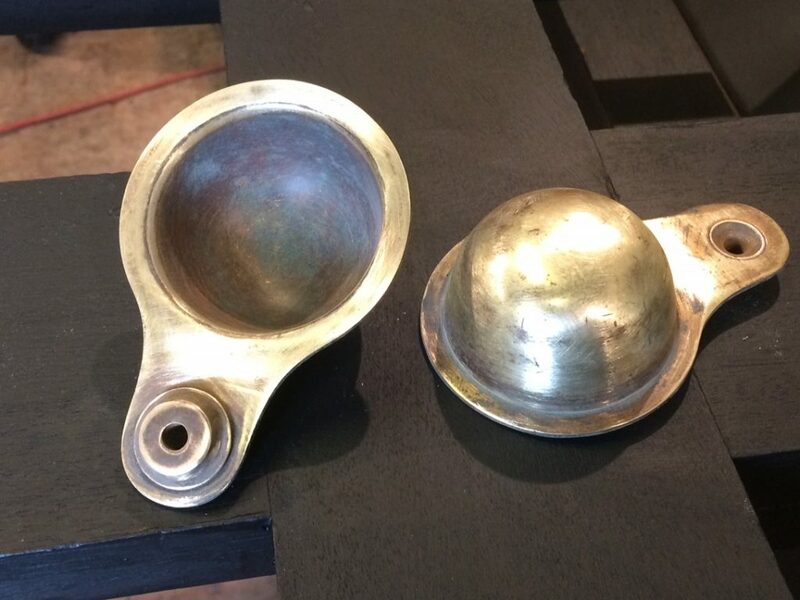 Brass chalk cups from an antique snooker dining table restoration. 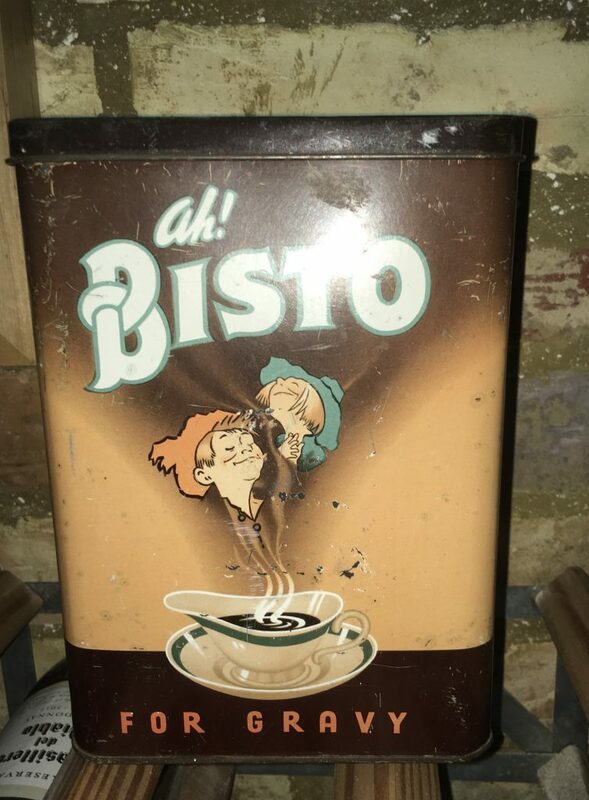 Brass chalk cups. 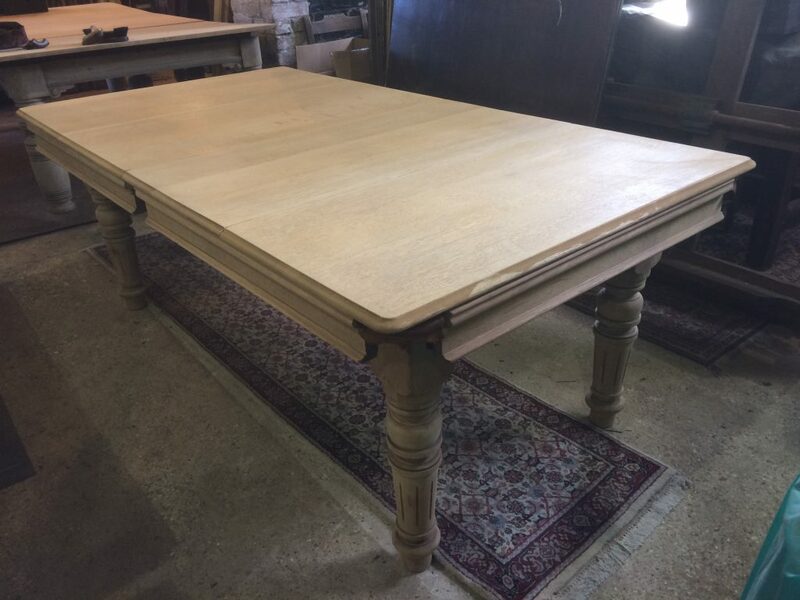 Antique snooker dining table restoration. Brass chalk cups from an antique snooker dining table restoration. The cups fit to the underside of the snooker table to hold the chalk. 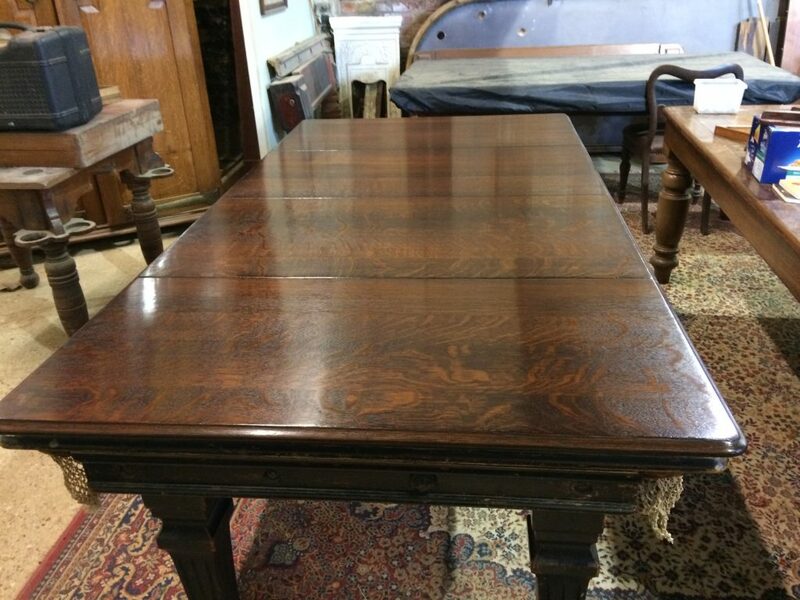 Please click here to view all antique snooker dining tables for sale. 8ft Riley convertible antique snooker diner. Just added today, a Riley convertible snooker dining table, in walnut, 8ft playing size. Vintage French-style cue stand, just arrived. 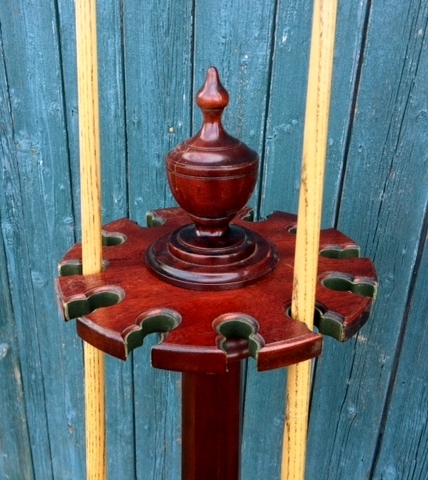 A single-stem French style cue stand is just one of the fantastic items we are adding to the website this week. Please click on Latest Stock to see all of our latest arrivals. Vintage French-style cue stand, more details. Photos added today of this convertible 8ft snooker diner. The table is mahogany, by Riley. Removable dining table leaves easily convert this from a playing table to dining table. 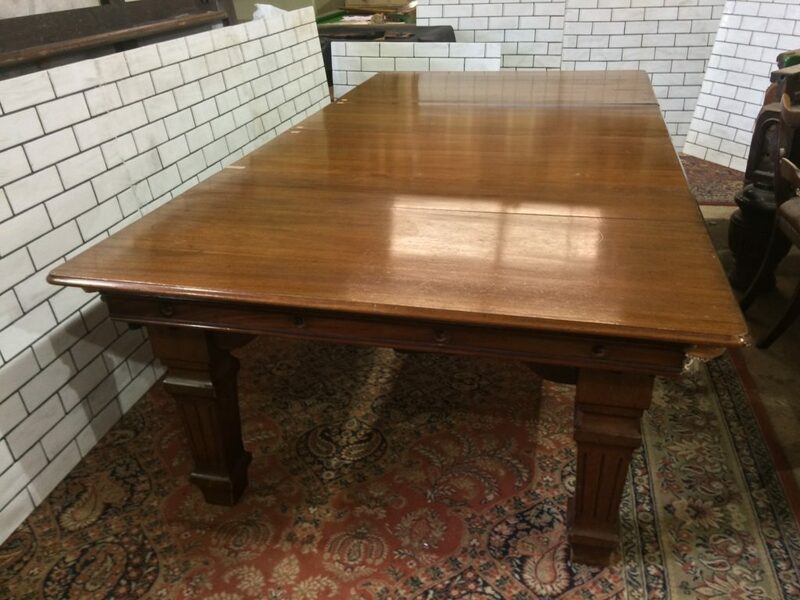 Full details here:8ft mahogany snooker dining table by Riley. 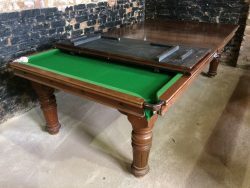 Images just added of this Arts and Crafts style, Riley full size snooker table. The Riley Imperial is an oak full size table. 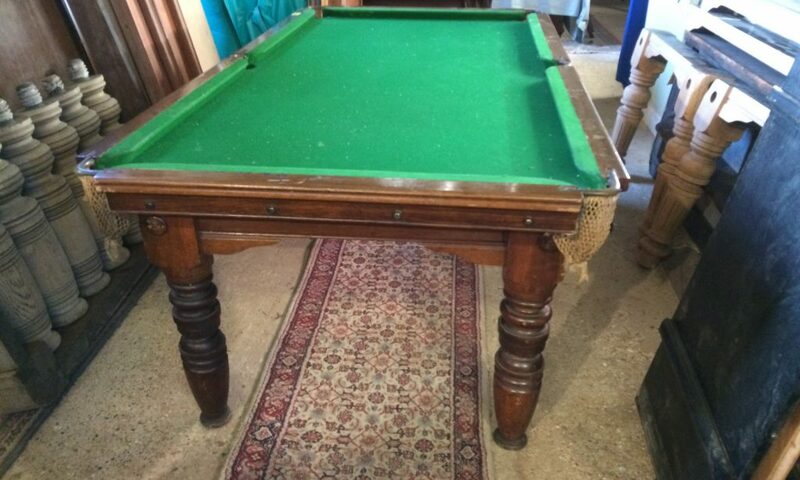 Click here for full details of Riley full size antique snooker table. A Happy New Year to customers old and new. January has got off to a busy start. We will be adding our latest stock to the website in the next week or so. Watch this space. 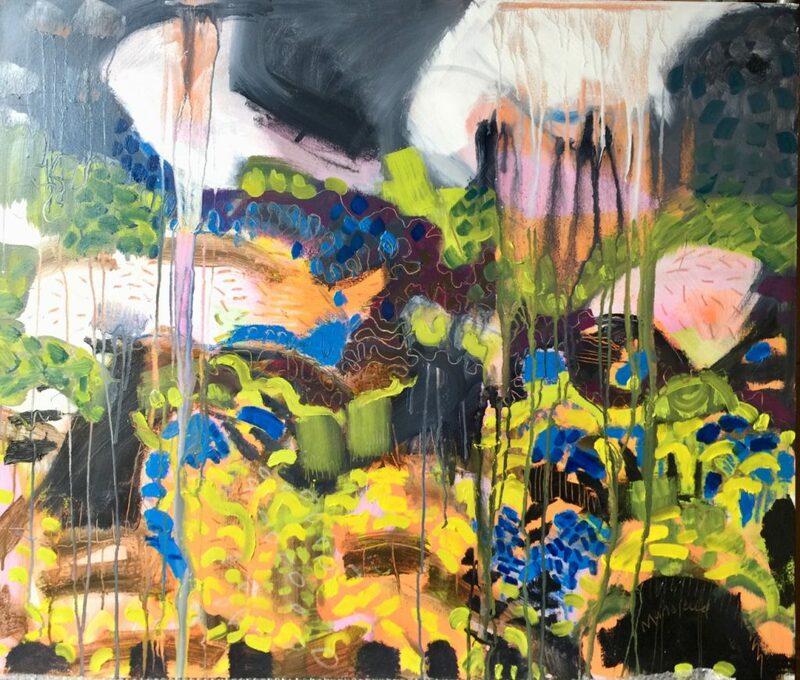 To browse our current stock please click here. This year we will be adding a Vintage Home category to the website, where you can find all manner of interesting and decorative items! Coming early 2019. Have you heard of the Just A Card Campaign? This week we’ve been taking part in Just A Card Indie Week. Spreading the word about fabulous, small, creative, businesses. 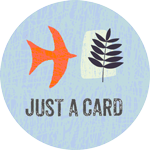 The JUST A CARD campaign aims to encourage people to buy from Designer/Makers and Independent Galleries and Shops by reinforcing the message that all purchases, however small, even ‘just a card’ are so vital to the prosperity and survival of small businesses. Better still, follow us on Instagram and Twitter to find out more! Forget Black Friday, support INDIE FRIDAY instead! Indie Friday. Just A Card Campaign. Images showing Before and After. We French polished this Riley snooker dining table to the customer’s specification. The Before picture shows the table with the woodwork stripped ready for polishing. The After picture shows the table after it has been French polished by hand. All of our antique snooker and pool tables can be polished to your specification. We provide colour samples for you to choose from, or we can match the woodwork to your existing furniture. Ask us for details! Contact us or call 01234 734577. AFTER; French polished antique snooker dining table. Dark oak. 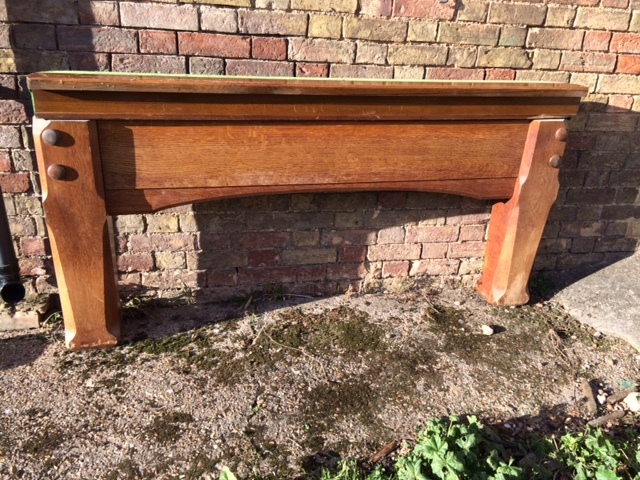 Just arrived, this 6ft Riley antique snooker table, in oak.THIS TABLE HAS BEEN RESERVED. VIEW ANTIQUE SNOOKER TABLES HERE. A popular size for home use, suitable for snooker or pool. English oak with a single piece Welsh slate. As with all our tables, restoration is included in the price, along with a starter kit of cues, balls etc. Please see link for full details.